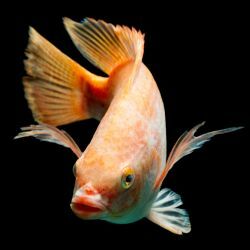 Selangor, Malaysia, June 26, 2015 - (ACN Newswire) - Malaysian scientists recommend ways for sustainable tilapia farming, an important resource for the country's freshwater fish needs. Fish farming, or aquaculture, began in Malaysia as early as the 1920s, with the 1990s ushering in intensive commercial production. It is a rapidly growing sector that has witnessed a growth rate of ten percent in the last five years. According to the Food and Agriculture Organization, Nile tilapia accounts for 44.7 percent of the total freshwater aquaculture production in Malaysia, followed by catfish and carps. Despite rapid growth in the sector and the high potential of tilapia fish farming in Malaysia, poor development of the fish, high mortality, and losses due to disease and low economic return are common in tilapia farms. To achieve sustainably high yields, Malaysia's department of fisheries began a breeding program in 2002 to develop genetically improved farm tilapia (GIFT). Scientists at Universiti Sains Malaysia, the National Prawn Fry Production and Research Centre, and the World Fish Centre examined the strain's growth performance and how genetic selection affected harvest weight over a ten-year period. They found significant genetic improvement in harvest weight in the GIFT population and concluded that the strain was a valuable genetic resource for the aquaculture industry. They recommended the implementation of a systematic approach to brood stock management and dissemination to ensure the effective use and sustainability of the strain. Genetic improvement is one way to boost fish farming in Malaysia. However, there remains a need for other measures to prevent severe economic losses due to infection of cultured tilapia with Streptococcus. This is a gram-positive bacterium that has caused considerable morbidity and mortality in cultured fish stocks worldwide. It is estimated, for example, that streptococcosis resulted in a loss of US $250 million in the cultured fish industry in 2008 alone. Recent outbreaks have been reported all over the Malaysian peninsula in wild and cultured tilapia and have resulted in high mortality rates. Scientists at Universiti Putra Malaysia and the Fisheries Research Institute reviewed recent research to analyse potential control and prevention measures for streptococcal infection in cultured tilapia. Among their recommendations based on the review was the establishment of tilapia fish farms in sites with moderate rates of water flow, such as upstream in rivers and in irrigation canals. They said that juvenile tilapia fish used for fish farming must come from disease-free hatcheries. Also, stock densities in fish farms need to be monitored and modified as fish size increases. And water quality must be continuously monitored, while antibiotics and vaccination regimes should be introduced, they said.